When summer sunshine sends temperatures soaring, you need to be prepared – especially when it comes to your pets. That’s because, whether you realize it or not, the heat that comes with this season can pose some major threats to your furry friends if you leave them in an unattended vehicle. It may seem like no big deal to leave your pet in the car for a little while when you go into a store or stop by a friend’s house, for example – it’s such a short amount of time. In reality, though, because of how quickly the car’s temperature can rise, those few minutes could wind up being hazardous for your animal. As the car gets hotter and your pet has a hard time breathing, the situation could even turn deadly. That’s why protecting your pets from overheating in a car is vital. Not all states have laws to protect pets in cars. Only a small fraction of states, like Florida, currently have laws against leaving animals in unattended, confined vehicles where they could overheat. While other local laws or animal cruelty regulations could apply, there is a greater chance of danger for pets in states without clear laws in place. Cracking the window isn’t a sufficient solution. Unfortunately, leaving your pet in the car with a window cracked isn’t enough to protect it. Research has shown that leaving a window slightly open didn’t dramatically change how fast the car heated. Your pet may be at a higher risk. If you have an animal with a short snout – like a boxer, a bulldog, a pug or a Persian cat – that animal has a tough time breathing hot air. Likewise, animals with respiratory or heart conditions, animals with longer coats, and those that are overweight or underweight all have a greater sensitivity to increases in temperature. This means they could get overheated faster than other animals. You could save someone else’s pet. If you’re out and about and notice a pet in a parked car on a hot day, you can do something about it. See if you can find the owner to alert him or her to danger. If you can’t, jot down the vehicle’s make, model and license plate number, and call your local police force’s non-emergency number or animal control’s non-emergency number. Wait with the vehicle until help arrives. Because summer presents new dangers for pet owners and their animals, it’s so important to understand the risks and know how to protect your pets. What’s more, when you understand what danger lurks in a heating car, you can be better prepared to help someone else’s animal that is trapped inside a car. Get ready for summer by arming yourself with these important facts. 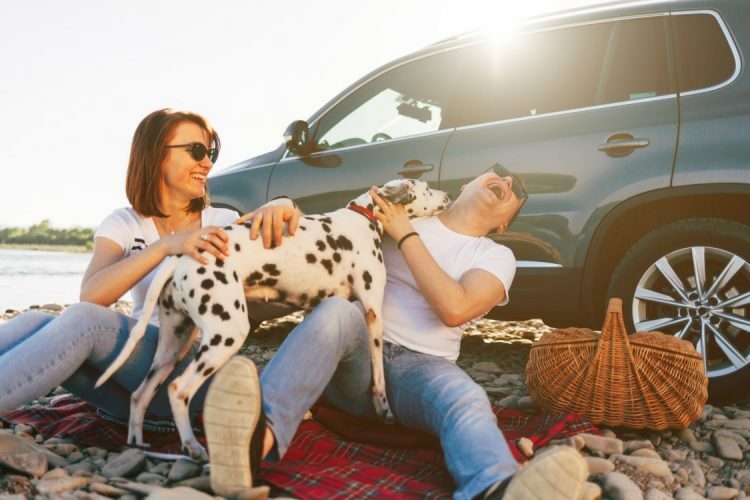 To learn more about the tips above, take a look at this Figo infogrpahic, which illustrates the essentials to remember when it comes to pets and hot cars.